Listed on the schedule for our last full day in Israel was a trip to Jerusalem’s famous Machane Yehuda, an open-air market also known as The Shuk. However, my wife and I found ourselves with a surprise alternative itinerary. Instead of going with the group, we were given the opportunity to experience the Israeli healthcare system first hand. Unfortunately, it was not for educational purposes. Jackie had been feeling under the weather for a couple of days, but the real trouble began when she started running a very high temperature. For her, this trip was a working business trip. She was going nonstop, around the clock. All day. Every day. After some extended bed rest and Advil didn’t break the fever, we knew we should call a doctor. We assumed we’d have to get a taxi to a clinic — or worse — to a hospital emergency room. However, to our relief, the Da’at staffers told us a doctor would come to the hotel and check Jackie out in our room. Seriously? Perfect. We went back upstairs and a short time later, the doctor was knocking at our door. He listened as we carefully explained all of her symptoms, then he took a few vitals and placed his stethoscope on her back. How you get pneumonia in 100-degree desert weather is still a mystery to us. He knew time was of the essence for us since we had about 24 hours until we were supposed to catch our plane back home. He prescribed a double dose of strong antibiotics and even dispatched an on-call physical therapist to the room to help Jackie effectively cough and loosen the junk in her lungs more quickly. Perhaps most impressive was the fact we didn’t even have to leave the hotel room for the prescriptions. The doctor called everything in from the hotel and it was sent from the pharmacy via taxi to the hotel and brought straight up to the room. The whole ordeal took just a couple of hours and Jackie had everything she needed to get better. Also unbelievable: The bill. Not because of how high it was, but because how shockingly affordable it all was. We racked up charges for in-room visits from a doctor and physical therapist; four different medications, including two powerful antibiotics; after hours, taxied pharmacy service — and none of it could be billed through our American insurance at the time. Amazingly, we didn’t have to promise our first born to make good on the payment. I can’t even imagine what those services would cost here in the States. Do doctors even make house calls here? Sounds like some kind of Kardashian-esque treatment to me. But, in fact, in Israel you don’t have to be a celebrity to get the medical help you need. Health care in Israel is universal — all Israeli citizens receive basic health care as a fundamental right. Radical idea, right? Bloomberg News recently ranked Israel’s health care system as the fourth best in the world in terms of efficiency. We can certainly vouch for that. Everything the Israeli team did for Jackie worked. And it was all so effortless. 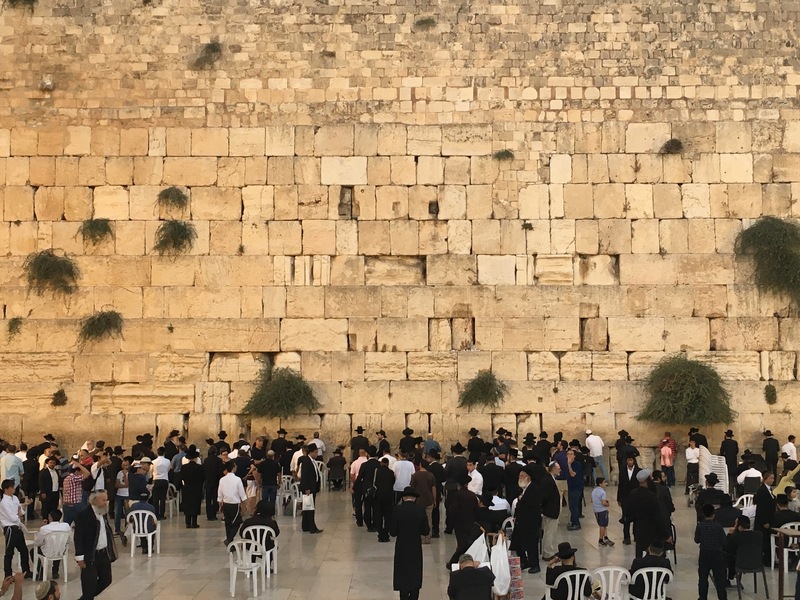 After a couple rounds of the antibiotics, Jackie managed to crawl out of the hotel and take a cab with me back to the Western Wall for a quick last visit. Our mobile sick ward took us as close to the Wall as possible. Then by foot, Jackie coughed and hacked and baby-stepped the rest of the way. There was one last thing we had to do before we left. It’s customary at the Wall to leave a note in between the ancient stones with a prayer or wish or special message. The tradition dates back to the 18th century. Today, it’s estimated more than one million notes are left each year. According to Jewish law, prayer notes may not be thrown away. Therefore, twice a year the notes are collected and buried on the Mount of Olives. 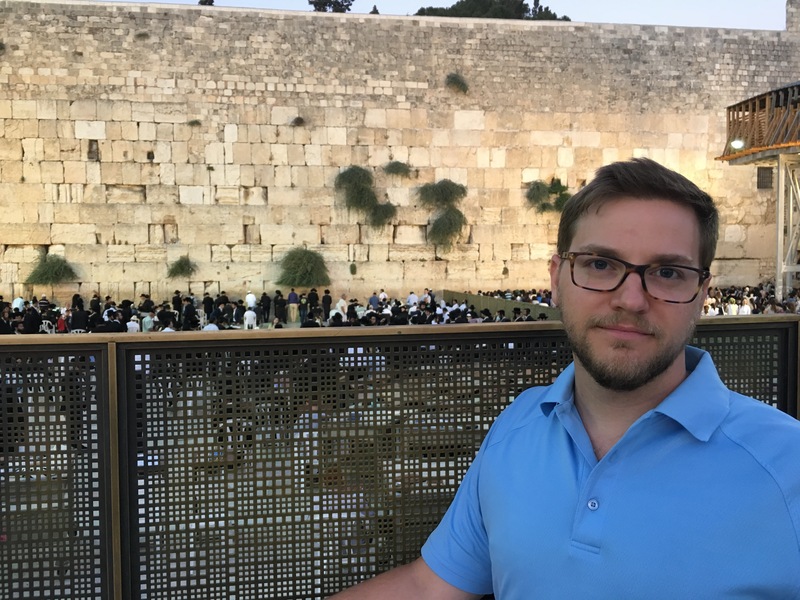 The Mount of Olives is an area outside the Old City that has been used as a Jewish cemetery for more than 3,000 years, and it’s the spot Christians believe Jesus ascended to heaven. So, pneumonia be damned, dropping off our notes was an opportunity Jackie wasn’t going to miss. After all, we had a lot to be thankful for. 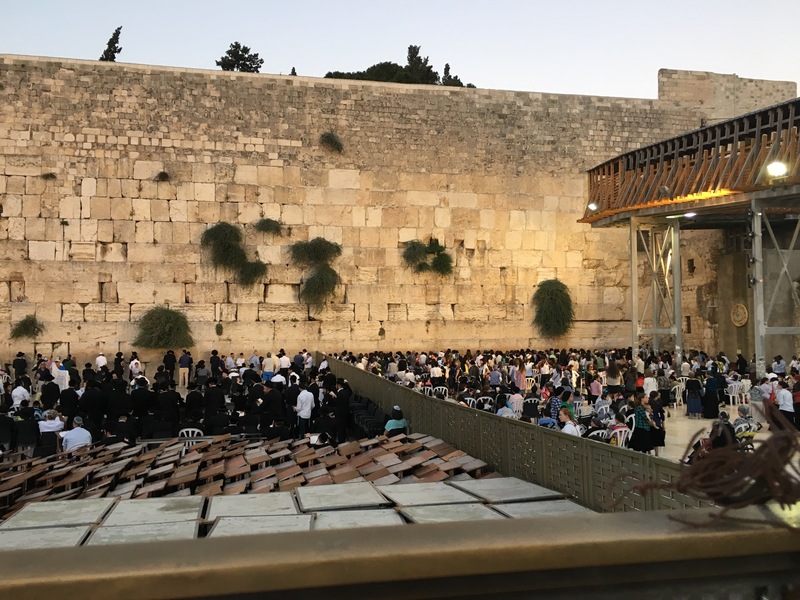 This entry was posted in Personal, travel and tagged health care, Israel, Western Wall. Bookmark the permalink.